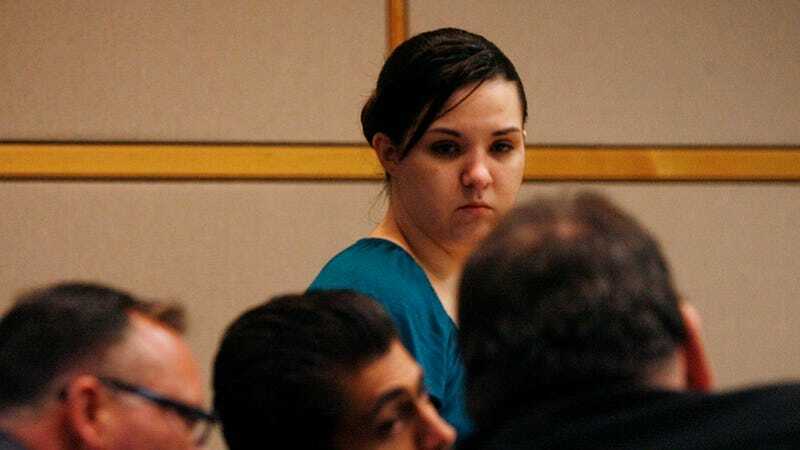 Almost three years after being charged with murder, the supposed final rung in a descent to madness that began with five weeks of incessant hiccupping, 22-year-old Jennifer Mee was convicted by a jury in Pinellas County, Fla. (because of course Florida) of first degree murder, and will spend the rest of her life in prison without parole. Mee was convicted along with co-defendant LaRon Raiford for the 2010 murder of Wal-Mart employee Shannon Griffin, whom Mee lured to an abandoned house “under the pretense of buying marijuana.” When Griffin arrived at the house, Mee and two of her male friends (Raiford and another co-defendant named Lamont Newton who has yet to go to trial) robbed him at gunpoint. When Griffin struggled, Mee and her friends shot him four times. Mee had gained national attention in 2007 when, at 15, she apparently developed a relentless case of the hiccups that lasted for five weeks (she went on Today and even scored a hug from Keith Urban). During her trial, Mee’s attorneys argued that she “suffered from schizophrenia and Tourette's Syndrome, and a court psychiatrist said Mee's intelligence was ‘low normal.’” They also explained she’d been taking medication to deal with the hiccups, the source, according to Mee’s mother, of all this trouble.